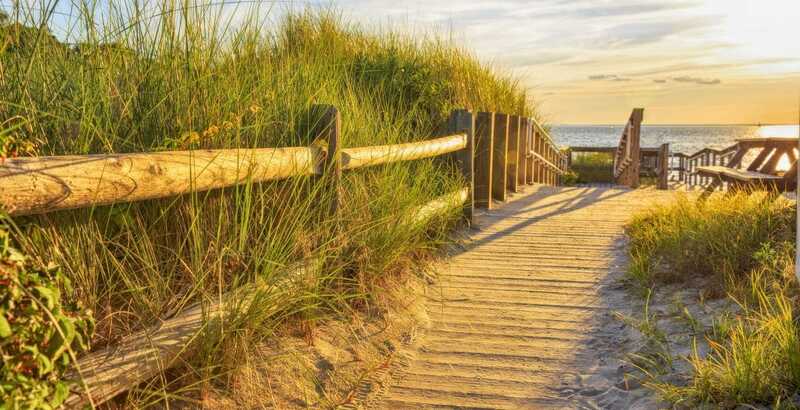 When visiting coastal Connecticut, you’ll find that many of the area’s popular destinations are incredibly accessible! What better than spending the day in the sun with the ones you love and the sound of the waves crashing in front of you? During the warmer months of the year, the beaches near Mystic, CT, are some of the best places to explore and relax! This stretch of New England coastline just north of the Long Island Sound, is both gorgeous and dotted with exciting historical sites to enjoy. Read on to learn where to find the best beaches near Mystic, CT! Have you downloaded our free Vacation Guide? 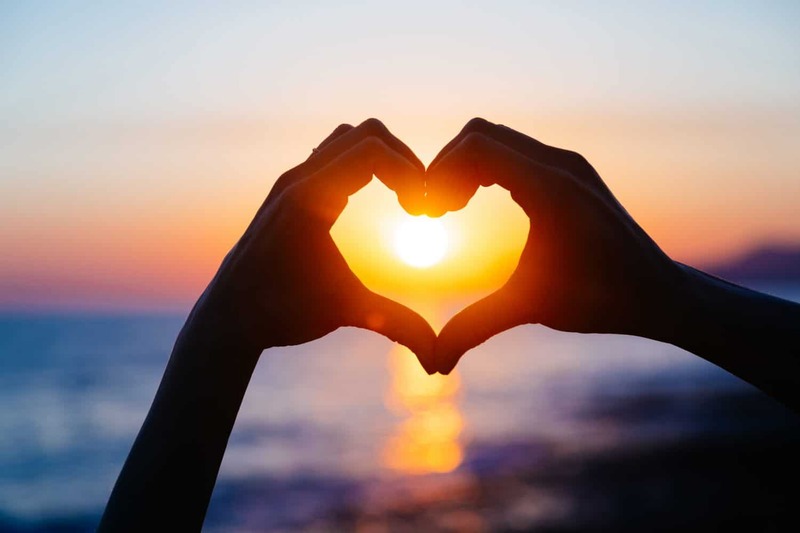 Here at Stonecroft Country Inn, we want you to have the very best Connecticut vacation. When you use our guide, you’ll have the key to a wonderful getaway right here by the sea, including the best beaches near Mystic, CT, gourmet restaurants, fun events, and even museums! Don’t waste another minute; get your copy and plan your trip today! This 50-acre park along the Atlantic Ocean is more than just a beach to hang out on the sand, but a town park full of attractions for many different interests. The Ocean Beach Park has a half-mile long boardwalk, an Olympic sized swimming pool, lockers and a changing area, miniature golf, an arcade, plenty of food options, a carousel and a playground. There are wonderful things to do here that will easily keep you amused throughout the day. This more remote beach has a modern pavilion, which includes a bathhouse, concession stand, and a lifeguard lookout for the half-mile stretch of sand before it. Misquamicut is a fantastic place for a relaxing time at the beach. Little Narragansett Bay is separated from the ocean by Half-Mile Beach, which ends at Napatree Point, a favorite spot for hikers and bird watchers as well as beachgoers. This beautiful Mystic park is dotted with multiple beaches and swimming holes where you can enjoy boating, cruises, and fishing charters. Golf and tennis are available, as well as many hiking and walking trails on which you can explore the parks, forests, and gardens. This is a unique unmodified natural beach with beautiful views of the Long Island Sound and its glorious tidal marshes and sand dunes. A quarter-mile of beach is set beside a number of municipal tennis courts popular among the area’s sporty types. This is a great place to hang out with the family at the mouth of the Thames River. With showers, picnic tables, a concession stand and a playground. The shallow waters along the beach, as well as the lifeguard areas that make it a safe place to let the kids splash around and enjoy the refreshing sea. By now, you should be able to picture yourself on one of these stunning beaches, and we’re here to help you make that dream happen! 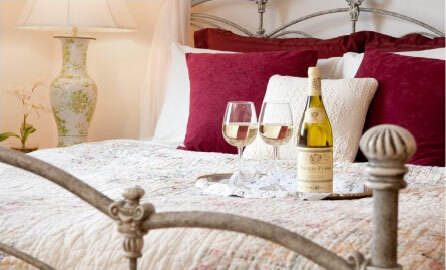 Stay in one of our gorgeous rooms at Stonecroft Country Inn and make your trip the best you’ve ever had. Experience New England’s charm and beauty in the comfort of a modern room with fine amenities. Browse our accommodations and pick the one you prefer! We offer different atmospheres depending on the room, and we can guarantee there is one tailor-made for you! 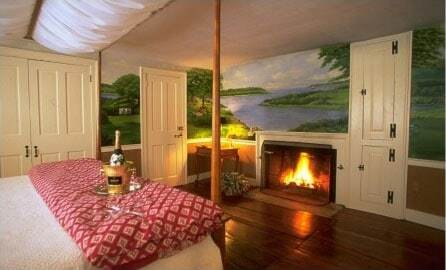 For example, the Orchard room will make you feel like you stepped in a magical garden, and the Nor’easter Suite will give you breathtaking views of the back lawn from its private deck! The choice is yours, and so is the comfort! Before you head out for a fun adventure the next morning, join us for a delicious homemade breakfast! It’s so yummy you’ll want to steal our recipes! Book your stay today at Stonecroft Country Inn! We look forward to meeting you.